From the time we are toddlers we are told not to talk to people we don’t know. The internet has opened up a whole new world of virtual strangers to us. Chatting on-line is just the technological equivalent of talking to a stranger who is waving a lollipop at you from inside a van with dark windows. The essence of blogging is communicating with people that you don’t know and may never meet, yet somehow you feel as if you know them from their writing or comments. Of course, there are frequent news reports about people who had these same thoughts right before their real life encounters with internet strangers came to a tragic end. I had this in mind as I opened an e-mail from Ronnie of Morristown Memos. She seemed friendly in an e-mail that started off with “You should never meet anyone you’ve met on the internet, but would you like to meet me and Lisa from Main Street Musings for lunch?” To sweeten the deal, she offered to let me pick the restaurant and bring Oregano or Bruschetta with me as back-up. Since the fall, I’ve enjoyed reading their blogs and sharing comments with them. When I realized that they didn’t live far from me, I secretly hoped that I would someday meet them. I was glad that Ronnie was adventurous enough to reach out to me and I happily accepted her invitation. When I told my friends and family about our upcoming lunch date there was unanimous disapproval and concern. “There’s two of them and one of you. They could overpower you,” said some friends. “I’m 4’11”. A fourth grader could overpower me. Besides what would they do with me once they’ve overpowered me?” I asked. “They could put chloroform on a napkin and hold it over your face. When you’re unconscious, they could dump you in the trunk of their car,” added another friend. “How exactly does one procure chloroform?” I countered. “Don’t you think someone in the restaurant would notice two women dragging a lifeless body out the door?” I reasoned. I’m a worrier, but I’d like to think of myself as an optimistic worrier. I think about all the things that can go wrong, but hope that they won’t. As the day of our blind date approached I felt excitement tinged with trepidation. Aside from the ridiculous kidnap scenarios my friends and family had laid out for me, I had more practical concerns. Would they like me? Would we get along as well in reality as we do in the virtual world? Or, would this be so awkward that I’d have to fake a trip to the ladies’ room and make a break for it? On the morning of our lunch date, I checked my e-mail and saw that Ronnie had written a post called “FORBIDDEN RENDEZVOUS.” After reading her post I realized that we shared the same concerns, although she had one distinct disadvantage; she didn’t know my real identity. She asked her readers to leave comments about what they thought of her meeting with the mystery woman. It was laughable to read their comments and concerns and know it was me they were talking about. When I arrived at the restaurant there was only one other car in a parking lot with so many potholes it looked like it had recently been used as a missile testing site. As I walked up to the building to wait for them, I realized that this might look like I lured them to an abandoned restaurant to throw them into the trunk of my car. I knew I wasn’t a crazy killer, but they didn’t know that yet. I pulled this tin from my purse as my identification. I waited anxiously in the lobby for them to arrive. Every time I heard a car pull into the lot I would stand up and look out the window to catch a glimpse of them. I was sure I would recognize Lisa from the photo on her blog, but I had no idea what Ronnie would look like. The moment I saw Lisa’s curls bouncing through the door I knew it was them and they recognized me. We greeted each other with warm hugs and smiles as if we were friends who hadn’t seen each other in a long time instead of strangers who had never met before. To prove it was me, I reached into my purse and pulled out the vintage paprika spice tin I use as my gravatar then I revealed my true identity. The time we spent chatting flew by. We shared our experiences about blogging, discussed ideas for writing and talked about our lives. Many people complain that spending too much time in the virtual world and not enough face to face time in the real world is causing people to lose their social skills. I’m happy that two virtual strangers stepped into reality to materialize into new friends. Posted in Uncategorized and tagged blogging, friendship, humor, virtual strangers. Bookmark the permalink. Great post! I’m glad you had such a great visit! There are so many nightmare stories about internet meetings gone wrong that we wanted to be cautious. After reading comments like yours and some of the other readers’, I’m realizing how many people have had wonderful, positive experiences. It does restore my faith in humankind. Based on the responses other readers shared, they’ve had positive experiences meeting other bloggers. I hope your wish comes true one day. Wow! I just had the very same experience, only it was my WHOLE family (husband and kids) meeting a single man. We’d developed a friendship within the blogosphere over the course of just a few weeks — too many commonalities to count. He lives just a few miles from where we were to travel for spring break, so I sent the “awkward email invitation” to him and his wife to maybe meet us for dinner or coffee. His wife was less than enthused, and neither of us wanted to push it. So we just kinda let it happen. During the course of our vacation week, we engaged through email several times, comparing local spots and scenic drives. We even exchanged cell phone numbers just in case. As it turned out, we had driven right by his workplace several times, so when we got the kids settled into a nearby McDonalds (busy locale with a playscape to keep them busy), we bought him a coffee and phoned him to come join us. And he showed up. What a brave man! It turned out to be a better than wonderful meeting. He and my husband lived for years near the same area in yet another state and we had no stale air between us. The hour flew by. It was good for me to be able to see his face, shake his hand, and get to engage in delightful conversation. I woke up that morning to no voice (drat! ), which turned out to be a terribly good thing — I have a way of dominating conversation and he is a stutterer. My non-voice and my patient husband allowed him to relax and the words just flowed. So glad you stepped out into the unknown. In some ways, I feel closer to some in my blogging family because we are tied by common interests. 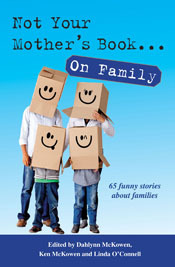 Family and even some “real” friends are difficult for me to engage face-to-face. And I don’t have the energy for small talk. Thanks for sharing your story, Shannon. I’m glad your encounter worked out so well. It’s been great to hear from so many readers/bloggers that they’ve had such positive experiences. One of my readers said, “There are more of us good guys than the bad ones.” Everyone who shared their stories is proving her point. I have to ask, if someone is a creep looking to harm or hassle someone, would they go through all the trouble to pretend to be something their not, creating a blog for their avatar, posting consistent words to that effect for maybe months on end? In hopes of maybe luring someone? It sounds a little far-fetched. I’d like to think creepy people aren’t really that smart. However, I can completely understand a creepy person lurking in a chat room waiting for such a passerby. Not much work there. You make an excellent point. Creating a blog and maintaining a dialogue with readers does seem like a complex way to lure someone. What a great story, Shannon! Why would there be candlestick holders in a library? Open flames around a bunch of books seems like a fire hazard to me. In any event, I’ll be sure to be wary of anyone who offers to meet me in the library. Does the game “Clue” ring a bell???? It was the first murder weapon from the game that I could recall….. I knew it was from Clue. I was merely pointing out the irony of having candlesticks in a library. The weapons are candlestick, knife, revolver, lead pipe, wrench and rope. I suppose, Mr. Green, that you would use candlesticks since they are the classiest of the weapons available. lol ive made tons of friends on message boards, namely delphiforums (beware the gladiators…) and as i am a biker, i spend a lot of my time on the biker boards. we are a different breed, we have no problems riding for hours if necessary to meet at a biker bar for a couple hours of serious laughs and beers and some of those “guys” i now consider lifetime friends. one of which is a lady down in charlestown sc i think (i cant remember chit). she was coming up to new jersey to visit her gram and we made plans for her to ride out to my home. she told her family of our plans and naturally they were concerned, i could be, afterall, an axe murderer! but she came (with cousin in tow, per her families request), i had her call home as soon as she got here, i did the whole amish tour (I live in amish country pa) and went to the biker bar i frequent (my cheers lol). we had a wonderful time, she bought several jars of amish preserves for her family and we are still in touch today! ive also met some of the people from the gladiator forums (current events – you need a serious shield and sense of humor to deal with them lol), brought my daughter with me once and they bonded lol and we still get together several times a year and im hoping to take a girls weekend out with these ladies this summer, or is it next october? hell, i dont remember – they keep my memory for me! but all in all – im thoroughly enjoying your blog. now if i can only figure out how to get one of those “these people liked your blog” thingy’s. wordpress confuses me sometimes. its not unusual…. Thanks so much for taking the time read and share some your internet meeting success stories. It’s great that you’ve been able to maintain the friendships you made with the people you met online. I’m glad you’ve been enjoying reading Good Humored. Hope to see you again soon. That is so nice that you found bloggers living nearby and met them! I always like to meet new people (I haven’t decided yet if it’s brave or stupid :)) I think the worst that can happen is that you meet someone you don’t like or wouldn’t like to have as friend. It was just luck that we all found each other in the blogosphere. We realized we all live near each other in NJ. It was a lot of fun to get to meet them live and in person. That’s awesome! That’s so cool that the three of you live close enough to hang out. I’m glad your family didn’t have to utilize your phone as a tracking device! It’s great that we were able to connect in real life. I’m glad I didn’t need to write that post from my cell phone from the trunk of a car. I hate using the touch screen for typing on my phone and I’m sure it would have been a bumpy ride in the trunk. That’s so great to meet up with your blogging buddies. I’d have the same fears about meeting face to face with blogger & twitter friends as you, like would we get along or would it be awkward etc. Congrats on having the guts to meet up. I didn’t really think of it as gutsy, but several people have said that it was. I absolutely believe that the difference between bravery and stupidity lies solely on the outcome of the situation. Since this went well, I look gutsy. If I wound up friendless and in the trunk of a car, I’d look stupid. That’s true actually. But it turned out well! And this completes the trifecta—I just read through all three of your experiences with the blind date and it’s a wonderful heart warming story. I’ve also learned that, should I ever meet up with people from the blogosphere, rural gas stations are probably not the place to do it. Thanks for taking the time to read all three of our posts. It was fun for me to read about Ronnie’s and Lisa’s perspective of the same event. If you are going to meet someone from the blogosphere I would definitely stay away from rural gas stations, heavily wooded areas and highway underpasses. Thanks for visiting and commenting. Hope to see you again soon. I think all my blogging friends are wonderful and kind, and the most threatening thing any one of them would do is maybe write about it later, and tell everyone that I look older in real life than in my picture. In the past I’ve met quiet a few people that I spoke with online. In fact I can go back to more than 15 years ago when I met people that I now consider family-friends. You can make a truly strong and wonderful bond on here. Just always be sure others know where and whom you are meeting and be certain it is a public place. I do think it is wise to bring a friend, 2 is always better than 1. I have to admit, I say that but have frequently run out the door to meet someone from online on my own. I have met a few that I later stopped speaking with. In the end, a new friend is just a stranger any way you look at it, meeting them in a store, a bar…or online…you just have to go slow and be careful! Thanks for sharing your story! Thank you for sharing your experience. In a situation like meeting someone from online, common sense should prevail and you some good safety ideas. You are right. All of our friends were strangers at some point. We definitely wrote about it later and if you read Lisa’s post about our encounter, you’ll notice that her son called me old and he didn’t even see a picture of me. Once a worrywart, always a worrywart. Rest assured that Lisa and Ronnie were upstanding citizens who don’t seem like the type to stuff anyone into the trunk of their cars. I was so pleased to find you alive after the meeting. I knew it would be OK. I’m glad the 3 of you had an enjoyable experience. Plus, this was great blog fodder; much safer than bungee jumping or sky diving! What a lovely memory the three of us created. And it sounds like we encouraged readers to try meeting other bloggers too. Just be careful, and don’t forget the pepper spray. It was fun reading your before and after posts about our rendezvous. I loved reading about the day from your perspective and Lisa’s. If it weren’t for your adventurous spirit, we wouldn’t have gotten together. It does seem like we have encouraged other bloggers to meet, but I feel like we should have put a disclaimer on our posts. Great idea for a disclaimer. Consider this exactly that. It was fun to read your post and Ronnie’s to get the whole picture of what we were all thinking that day. I feel so much more comfortable knowing that you wouldn’t use a napkin for the chloroform, but if I see you carrying a rag the next time we meet, I may break into a run. Here’s to a long virtual and face to face friendship. Thanks, Elyse. It was a lot of fun to get together with them. What a rewarding experience! Will there b blogger convention? I’ m all taking a chance and meeting people. There more of us ” good ones” than there are “bad ones”! Glad it went well! I think we forget that there are more “good ones” than “bad ones” since the “bad ones” get all the press coverage. The media thinks that no one wants to read about a happy encounter that ended in friendship. It’s sobering, though, isn’t it, that we forbid our children to talk to strangers, and yet we do it all the time. Somehow communicating with someone through blogging doesn’t really feel like you are talking to a stranger, but that is truly what it is. I prefe to think of it on the positive side and consider it a way to meet friends I just don’t know yet. I hope you are able to get together with your readers and that you have as much fun as we did. Thanks for subscribing. Hope to see you again soon. 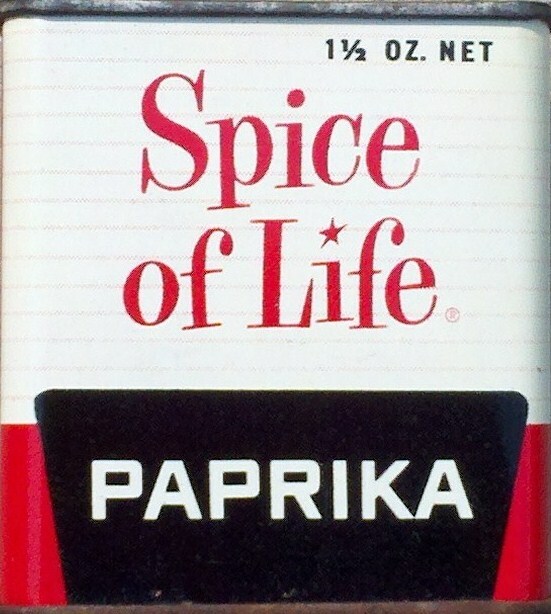 Oh, Paprika, that sounds like it was fun! Glad you had such a good time! Thanks. I’m really glad I was brave enough to take the opportunity to meet them. The risk was definitely worth the reward in this case. What a refreshing story about internet meetings, after all the bleak and cloudy stuff that happens, well, all the time. I know exactly the feeling of sitting there, checking every car as it pulls up, not knowing what to expect. Sounds like you guys had fun. I’m sure there are many other positive encounters of people who have met through the internet. Those stories just aren’t as exciting to report on as the scary, negative ones. The anticipation of wondering what they woudl be like was a lot of fun and actually meeting them was even better. Wow. My main concern about meeting a blogger is wondering if the connection developed online would continue offline, not about worrying whether or not I’d be kidnapped! Glad those crazy fears your family had were put to rest. I thought the likelihood of a kidnapping was a long-shot. I was more concerned about us not getting along and being disappointed by that. From reading Ronnie’s and Lisa’s posts about our blind date it seems that they shared those same fears. Paprika … I enjoyed your story and Lisa’s. Your blogs are entertaining and I’m not surprised you got on so well. Wish I could have been there. But Florida is a ways off. Thanks, Judy. It’s funny that Lisa, Ronnie and I have a few readers in common who are reading all three posts and getting three different perspectives on the same situation. I took my kids to Texas for a vacation and invited a woman who lived in Oklahoma to join us. We had been chatting every evening in a chat room for 9 months at that point. I sent her photos of me with my family and she sent photos. Our husbands were each a bit concerned. But the personality had been sustained for over 9 months, so I felt it would be ok. Well, she had brown hair instead of blonde, and I was a lot taller than she expected. Other than that, all was as it seemed. If we lived in closer proximity, we would be best friends. That was really brave of you to have your internet friend join you on vacation. I was stressed enough about meeting Lisa and Ronnie for lunch, I can’t imagine traveling with someone I just met. Thanks for sharing your experience. Oh, how fun! I want to have a blog meet-up luncheon, too! We’d all love it if you joined us. Will you bring the five girls? I’ll let you guys know if I’m ever NJ-bound! I should have put a disclaimer on my post that not all internet encounters work out quite as nicely as ours did.